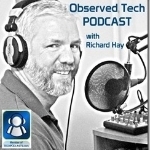 So in this show we start off with a small confession on how I messed up a BIOS flash on my wife’s PC that did not work using the Windows based BIOS flashing software. That meant a dead motherboard and an upgrade for her machine. 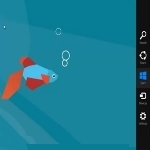 How you can use your mouse and keyboard to navigate the new Start Screen in Microsoft’s Windows 8 Consumer Preview – the other half of the OS in Microsoft upcoming Windows 8. 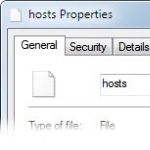 Learn how to reset your HOSTS file to its default state – when malware might be causing unauthorized URL re-directions to occur. 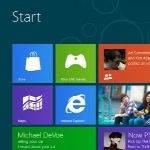 Learn how to overcome the Windows 8 navigation learning curve. 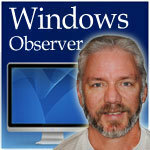 Well we have arrived in the month of February and that means the Windows 8 Consumer Preview is due out later this month. As I wrote about yesterday the preparations seem to be starting to bring the next step in the development process to the public and I can see the buzz starting to increase on social media sites like Twitter and Facebook. 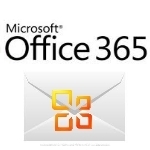 Microsoft’s Fix It Solutions automate the process of dealing with issues that may crop up on your Windows based PC. 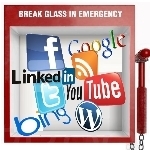 So instead of you having to manually edit the registry or make other changes these automated tools do the work for you. 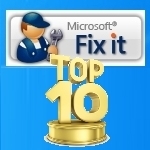 Here are the Top Ten Fix It Solutions across all problem areas. Learn to recognize the signs of a bogus Facebook gift card scam. 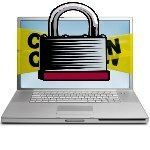 Windows Observer: What Info Would You Give Twitter To Verify Your Account? Twitter’s account validation process was in beta early on but has since closed but some accounts still get a verified status which I assume occurs when a popular person has their people contact Twitter to request it. Although there is no assigned hot key to invoke the Snipping Tool by default there is a way to create a shortcut key which uses one of the features of the Windows 7 Taskbar. 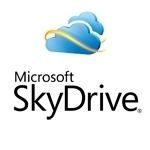 A real jewel from the Microsoft Developer Network (MSDN) Blogs RSS Feed. So it happens. Every once in a while you’re going to get a Blue Screen of Death (BSOD) in Windows 7. Now it typically occurs due to bad drivers causing conflicts but it could also be caused by Windows 7 itself. No operating system is perfect – each and every one has their flaws. It seems every program you install these days wants to add an icon to the system tray – you know that area on the lower right of a Windows system?